Lie back, Samira has done all the work. 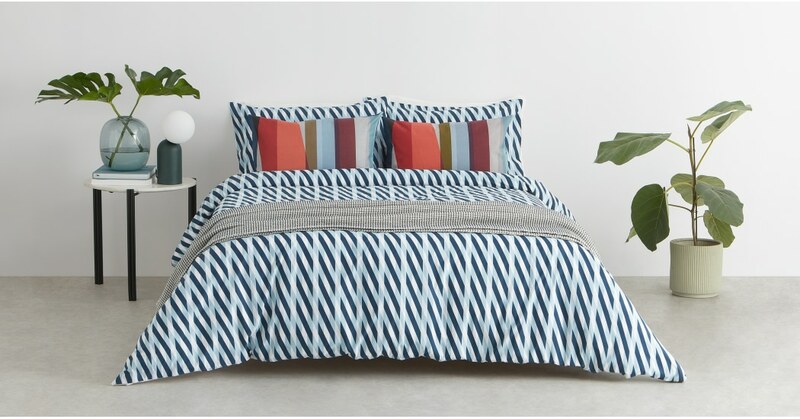 This printed bed set easily adds an eye-catching element to your bedroom. Designed by our MADE Studio, Samira is printed with an overlocking pattern in tones of blue. It's the modern way to do nautical. Crafted from 100% cotton, Samira balances it's geometric side with a plain white reverse. You can switch whenever your mood changes.